UPDATED 5/19/17-- Unfortunately, Kites in the Park 2017 has been cancelled due to this crazy May snowstorm. We will look forward to next year. Who doesn't love the simplicity and beauty of a good kite? 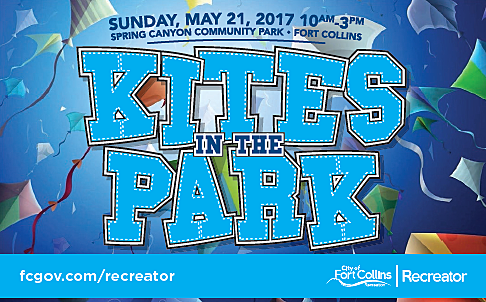 Fort Collins has been bringing us Kites in the Park for many years. It's bigger and better everytime. Put it on your calendar for May 21st from 10am to 3pm. There are dancing kites, demonstrations, vendors and areas to fly your own kite. Kites in the Park is a free event. There are shuttles running this year from Hughes Stadium. Get full details about parking here. Spring Canyon Community Park is at 3156 South Overland Trail in Fort Collins.